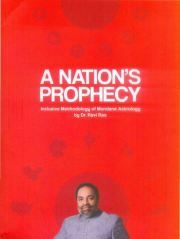 Description: The Inclusive Methodology of Mundane Astrology is a comprehensive guide to predicting mundane events of nations. A necessary reference book. • Predict socio-politico-economic events of nations, end-result of current events and the fate and effectiveness of rulers with accuracy. • Case studies of seven leading nations - China, Germany, India, Russia, United Kingdom and United States of America. Overall prediction of past events based on birth and transit charts, study of a nation's multiple births and of rulers' charts. • Categorisation of nature and scope of houses and planets for the first time - helps in remembering and applying the finer points with ease and comprehensiveness. • Birth charts of all 200+ nations in three formats - South Indian, North Indian and Western. Make your predictions for any country of the world. An essential book for every astrologer to arrive at comprehensive, accurate predictions and meet requests of eminent personalities seeking the predictions. Brings clarity, comprehensiveness and relevance to mundane astrology for the first time. The Inclusive Methodology enables astrologers to see the big picture with multiple elements and charts simultaneously.